No other company will take you to see so much of Hokkaido in one tour! 30 years ago we started creating and operating Hokkaido Nature Tours ... nobody else can claim that! Join a Toursgallery escorted small group tour if you really want to experience Hokkaido. 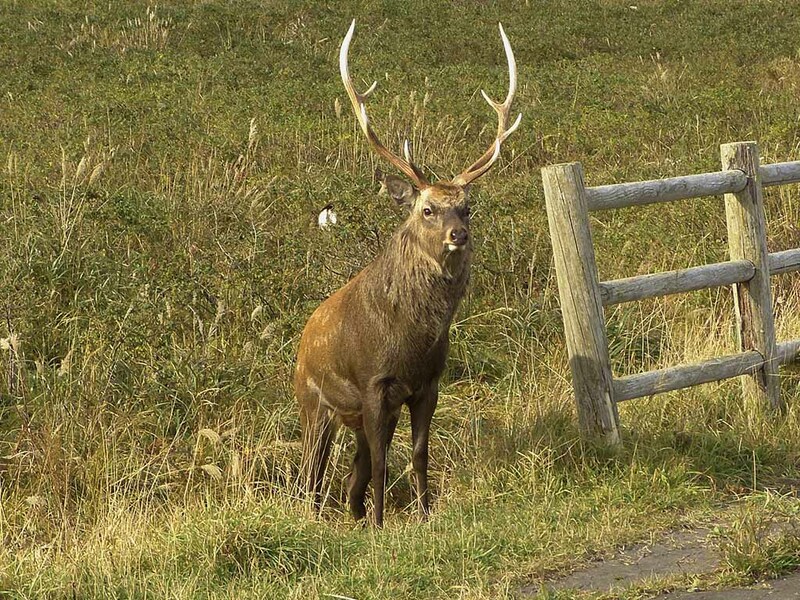 A unique opportunity to experience rarely visited parts of Japan, meet the locals and really enjoy nature in the northern island of Hokkaido. See the rich variety of autumn coloured foliage in forested mountains, marshes and grassland plus .. go bird watching in National Parks and nature conservation areas on this escorted small group nature tour. We stay in a mixture of first class hotels, traditional Japanese ryokans and spa resorts on this escorted nature expedition 'off the beaten track' in Japan's far northern island of Hokkaido. Price AUD$9,850 per person twin share includes flights from Tokyo to Sapporo and from Hakodate to Tokyo. 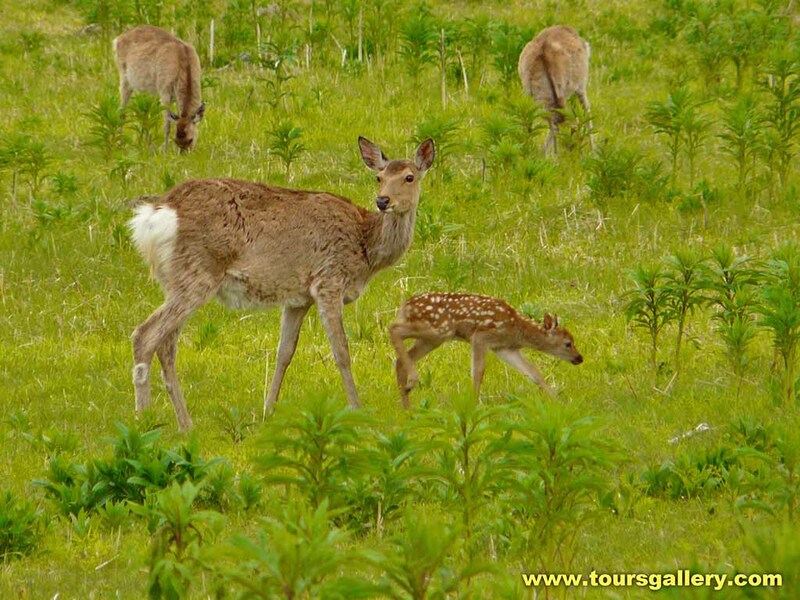 Only Toursgallery can take you on such a comprehensive escorted small group Hokkaido Tour. Our itinerary is designed for people who wish to have a more meaningful and in-depth exploration of the natural and less tourist filled areas of Hokkaido Island. Rarely explored by foreign tourists this is a vast island of wild coastal cliffs, extensive marshlands and forested mountains, a wonderful resource for birds, plants, animals and stunningly picturesque natural scenery. 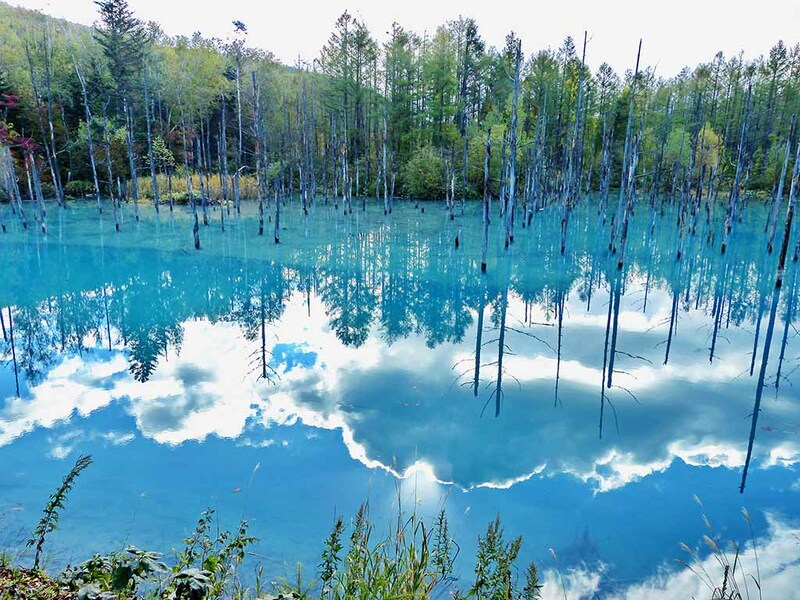 This tour is designed for people who wish to discover the beauty and nature of Hokkaido Island. 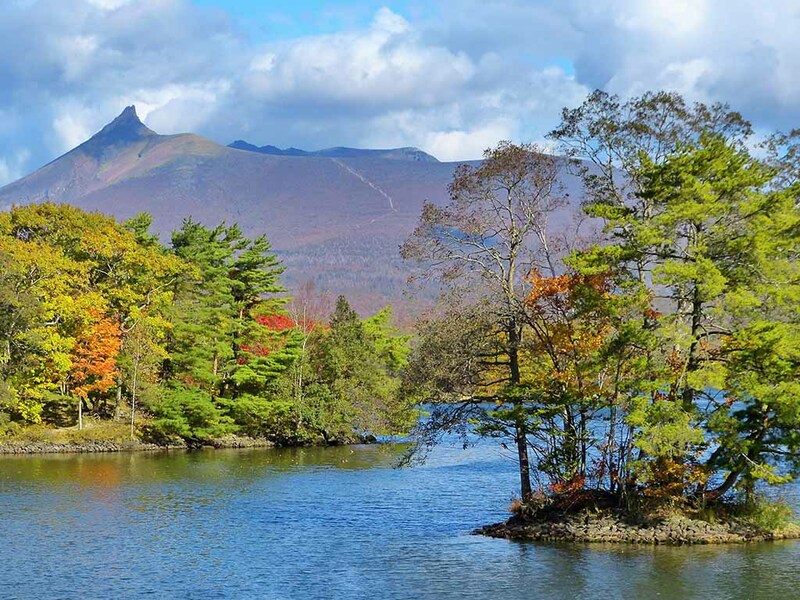 RAMSAR listed Kushiro Marsh, UNESCO World Heritage listed Shiretoko Peninsula, Daisetsusan National Park, the volcano of Mt Usu and Japan`s most easterly point, Cape Nosappu are just a few features we include in this Hokkaido tour. Visit Sounkyo Gorge, Asahikawa, Lake Tofutsu, Cape Ochiishi, Notsuke Hanto, Shunkunitai reserve, Shakotan Peninsula and Lake Furen. We will stop at a stream or two along the coast that will be filled with salmon on their way to their spawning grounds as well as at Oshinkoshin Waterfall, where we have previously had good sightings of White-tailed and Steller's Sea Eagles. By private charter boat you will be cruising along the sheer rock cliffs and uninhabited coves of World Heritage listed Shiretoko Peninsula, which points out toward the nearby Russian occupied island of Kunashiri. In the mountainous Shiretoko interior Brown Bear still live amongst the forests. On our previous tours we had excellent sightings of Brown Bear feasting on salmon along the coastal streams. We will drive out onto the 28 km long Notsuke Peninsula, a mere 16 km from the Russian occupied Kunashiri island. A fine example of longshore drift jutting out into Nemuro Strait, this natural habitat lists sightings of about 40% of the bird species confirmed in Japan. Here we can see a carpet of red Glass Wort and the remains of a primeval forest still stand here forming a unique landscape. The coastline here is best described as wild with only a few small fishing villages with quaint little harbours scattered between the rocky peninsulas and dunes. At Cape Nosappu, the most easterly point of Japan, Harlequin Ducks and Kurile Seals have been seen on our previous tours. Cape Kiritappu has had reported sightings of the elusive Tufted Puffin, whilst Red-faced Cormorants, Spectacled Guillemots and Siberian Stonechat are usually seen around Cape Ochiishi. Sixty-eight percent of Japan is covered by forest and almost all the remaining virgin forest is in Hokkaido, mostly subarctic coniferous and cool temperate broad-leafed deciduous. Between Hokkaido and Honshu the Tsugaru Strait forms a zoo-geographical border called the Blakiston Line, the southern limit of northern species, notably White-tailed Eagle, Japanese Crane, Blakiston's Fish Owl, Grey-headed Woodpecker and Pine Grosbeak. 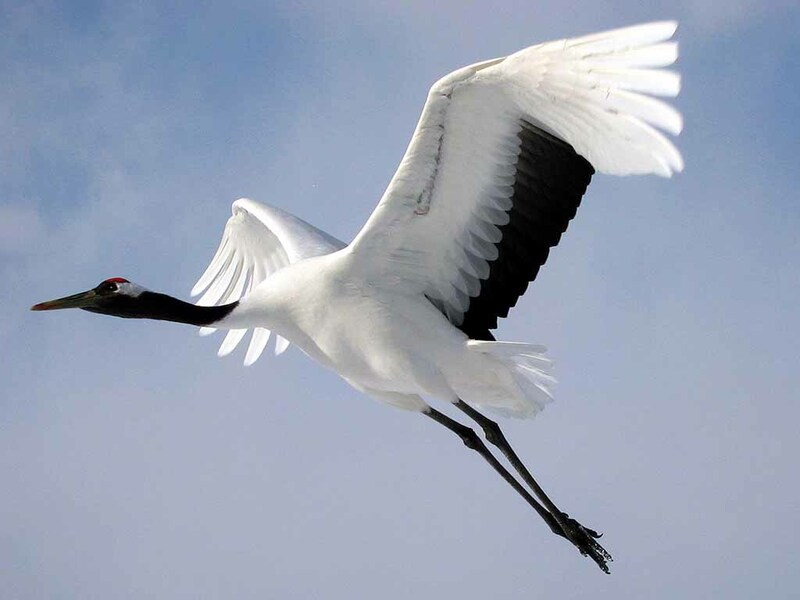 We may also see Sable, Pika, Red Fox, Hokkaido Squirrel and Japanese Tanuki.... in addition to the famous Japanese Red-crowned Crane and Great Spotted Woodpecker. Our private charter coach will take you beyond the reach of public transport. Hotels and traditional Japanese Inns have been specially chosen, offering guaranteed twin share accommodation, fine dining experiences, therapeutic spa baths and excellent locations. Accommodation will again follow our usual pattern and include a mixture of quality western hotels, Japanese style spa resorts and traditional Ryokans all offering twin share rooms with private facilities. Experience the atmosphere of old world Japan when you stay for several nights in true Japanese style accommodation with tatami floors, sliding paper doors (Shoji) and a banquet of local delicacies, served by ladies dressed in kimonos. Enjoy the cultural pleasure of genuine Japanese spa baths (onsen) where therapeutic waters are said to cure everything from arthritis to fatigue. On other nights you will stay in more familiar western style hotels. Visit Kotan Ainu Village where you will meet with and learn about the original Ainu native people of northern Japan. Attend a music and traditional dance presentation by the Ainu people, see their craft making and their homes made of logs and thatch. Special arrangements have been made for members of this tour to meet with members of several nature protection societies and curators at various museums and nature centres. Local guides will be with you on selected walks to help identify birds, plants and animals and to answer any questions. On previous journeys our local bird experts have brought telescopes with them for our guests to use. 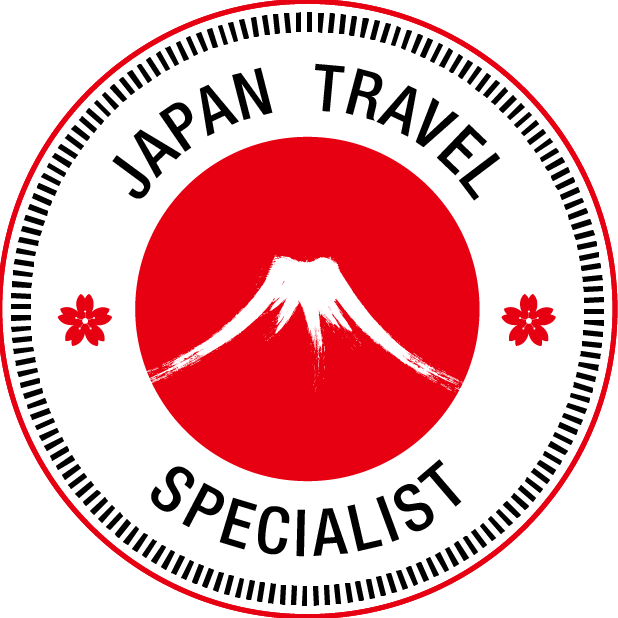 In addition, you will accompanied throughout this journey by Mayumi Gray and Ken Osetroff who have been personally creating and operating escorted tours of Japan since 1983. 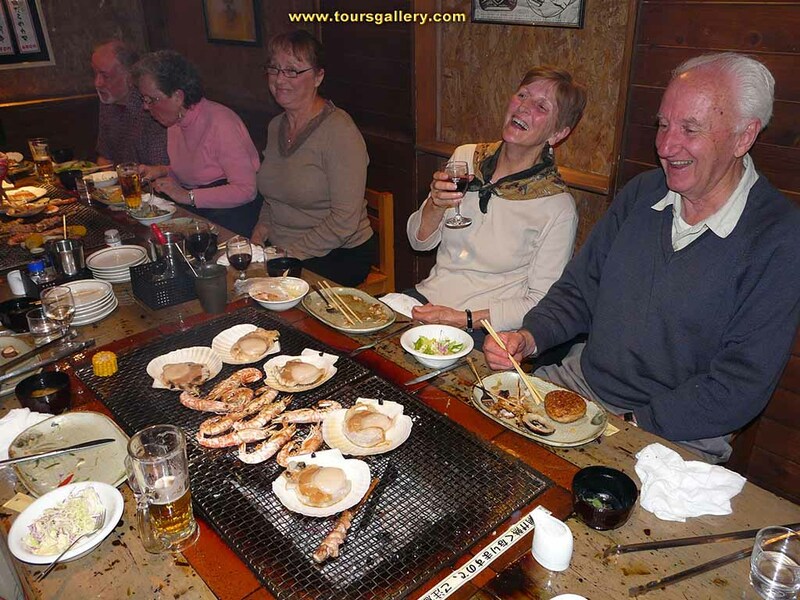 Toursgallery knows Japan from personal experience .. why would you travel with anyone else!